I stumbled upon this movie title a couple of days ago, while I was ‘hopping’ from one blog to another. The review said something about this movie that made me want to watch it myself. 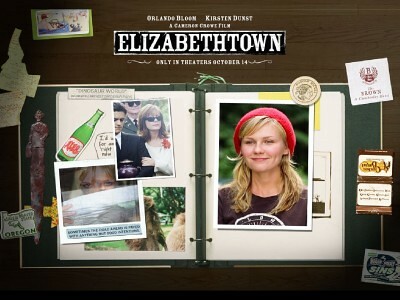 Was released by the end of year 2005, almost 5 years ago ^^; Elizabethtown, starring: Orlando Bloom *as Drew Baylor* and Kirsten Dunst *as Claire Colburn*. I don’t wanna talk about the movie plot, you can read it here, or even better, watch the movie. Well, it contains a casual drama-comedy-romance, and I’d already have my own fave movie within this genre. But I fell in love with one part of this movie… the scrapbook!! 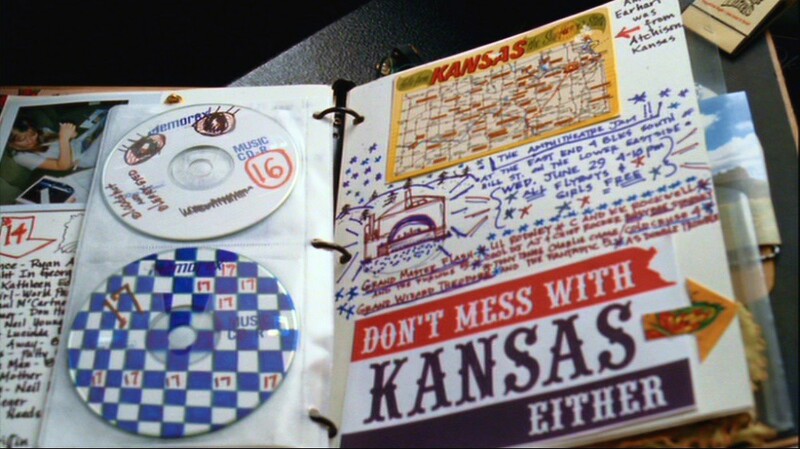 As a travel guide map from Kentucky *where Elizabethtown is located* to Oregon *Drew’s home* by car, Claire made a scrapbook for Drew. According to her guide map, the travel will take approximately 2 days. The interesting part is, Claire didn’t only give a guide which road to take, but also give Drew a chance to stop by at interesting places. She wrote a personal commentary, quotes, or sometimes a funny instruction for what Drew had to do. She also gave the road trip a soundtrack. Each page was provided with CD’s, which was compiled personally by her to create the appropriate mood. quote favoritnya sama :D. alasan kenapa tertariknya juga sama : scrapbook. this is one of my favorite movies of all time, ever. it’s not like anything else. Kirsten and Orlando are perfect in their roles, it’s quaint but authentic and such an original story with a great uplifting message behind a “dark” comedic background. so special. nampaknya memang si mpunya blog venus and mars itu sudah menginspirasi banyak orang ya :D. wkwkwkwkwk. kalo abis itu beneran buat scrapbooknya liat ya miiit :D. soalnya gue ga sesemangat itu buat merealisasikannya. males cari bahan euy. not mentioning lack of oxytocin :)). lo kayaknya bisa ;). hihi.